Piacenza is one of the oldest cities in Italy, which is rich in symbolic places. It attracts tourists by large choice of excursion routes. Start your acquaintance with the history of the city from visiting Municipal Museum built in the 16th century. It hosts several collections of paintings and sculptures. The most valuable item of the collection is a picture of Botticelli, which is called "The Virgin and Child with John the Baptist". In the center of the city you will find one of its main landmarks - Cathedral of San Antonio. It was built in the 12th century and became the chief decoration of the city. The main entrance of the cathedral is decorated with magnificent bas-reliefs, but the internal decoration is quite grim and gloomy. Here you will see heavy arches, the rooms wrapped in darkness, and the figures of priests frozen in the niches. Art connoisseurs may determine the style of the cathedral as a unique combination of Gothic and Romanesque architecture. The central part of the city is occupied by Piazza-dei-Cavalli Squarre, where you can see several monuments from the Middle Ages and the main architectural masterpiece - Palazzo Gotico. 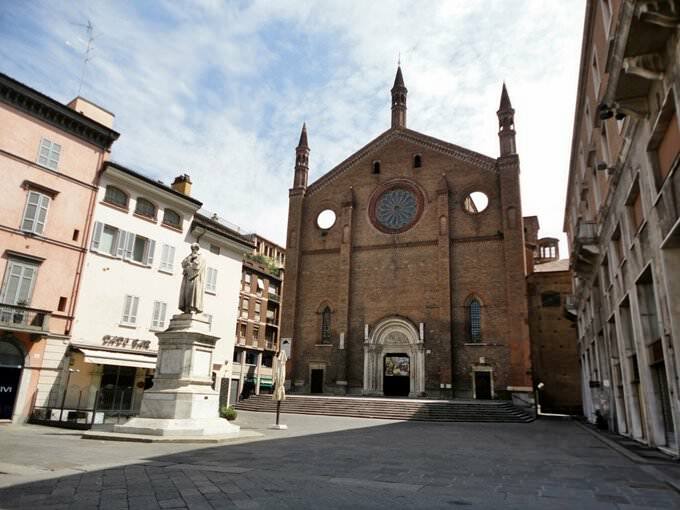 Piacenza is sometimes called the city of a hundred churches. If you go to the observation area and look at the panorama of the city, you will really see dozens of church towers that stand proudly among other buildings. Palazzo Farneze castle requires particular attention. Nowadays a museum has been opened in the walls of this palace. It provides visitors with information concerning the fate of the castle's owners, the Dukes of Farnese, who have played a significant role in the fate of the city. After visiting numerous attractions and places it is time to go to one of the local restaurants and taste best culinary masterpieces of Italian cooks. La Casa di Campagna is considered the most beautiful dining facility of the city. This restaurant literally dives in lush green trees and flower beds. The Museum of Oil and Gas is a special cultural institution. Despite the serious theme, it is considered one of the most popular with tourists with children. 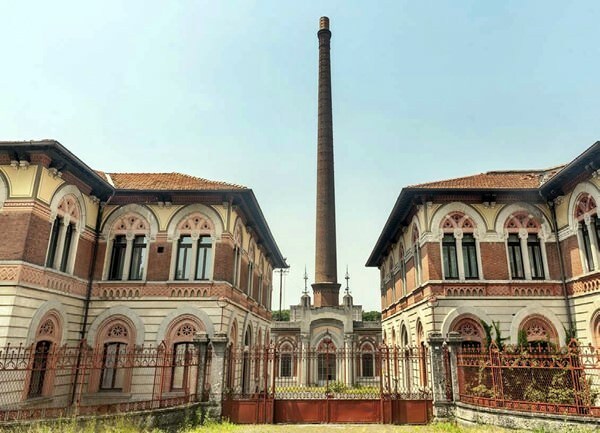 The museum's exposition is devoted to the history of the oil industry, which up to the present time is of great importance for the city's economy. Visitors are told about the technical means used in the beginning of the 20th century for oil and gas extraction. An excursion promises to be very informative. Among the numerous architectural monuments is Brageri Albezani villa. It is located in the immediate vicinity of the city and was built in the 17th century by Count Daniele Kiapponi for himself. He used it as a summer residence for solemn meetings, musical and literary evenings. In the 17th and 18th centuries, the villa was visited by many famous figures of art and culture. Nowadays, it is an important cultural object, partly occupied by a historical archive. An excellent ethnographic museum has been opened in the basement of the historic villa. Some halls are available for visiting as a part of a tour. The atmosphere of the past centuries has been restored there. 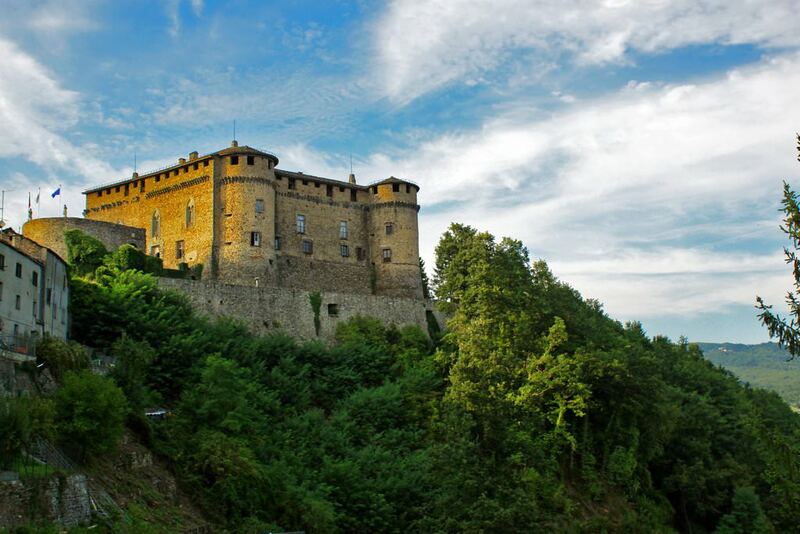 Castello di Sarmato Castle is extremely popular with lovers of walking in historical places. It is located in a picturesque suburban area, surrounded by wonderful landscapes. The very first defensive structure in its place was built in the 13th century. During the years of its existence the castle had over a dozen owners and had been reconstructed for several times. The last major reconstruction took place in the beginning of the 19th century. Nowadays, some of its rooms keep the atmosphere of the old times. The dance hall, as well as its furnished salons, are really beautifully decorated. 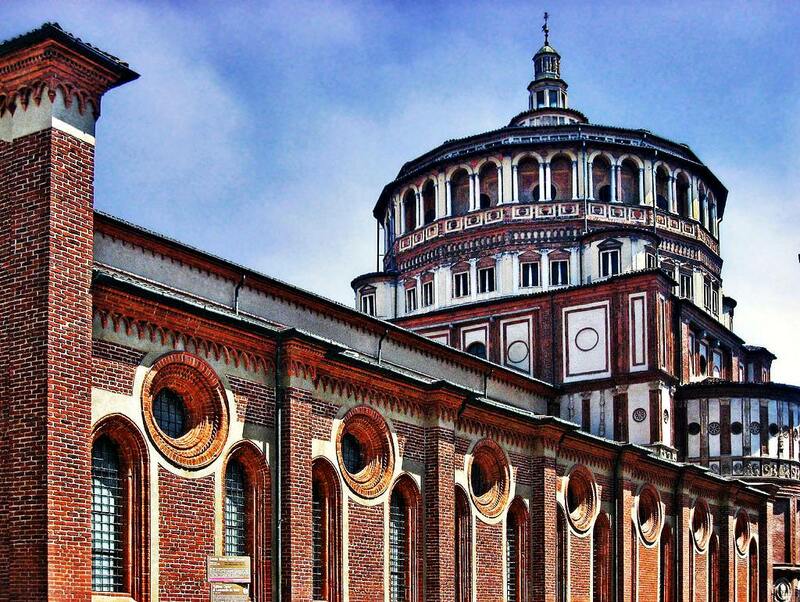 This guide to iconic landmarks and sights of Piacenza is protected by the copyright law. You can re-publish this content with mandatory attribution: direct and active hyperlink to www.orangesmile.com. Check on the map: Distance from Piacenza center - 62.5 km. Check on the map: Distance from Piacenza center - 62.2 km. 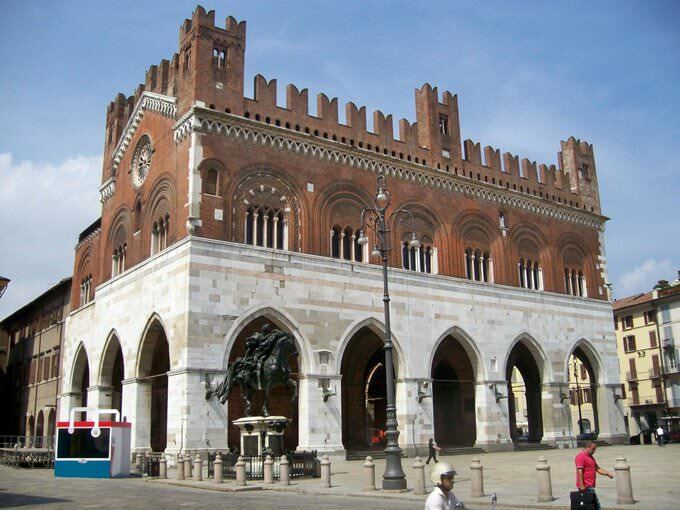 All about Piacenza, Italy - sightseeings, attractions, touristic spots, architecture, history, culture and cuisine. Prepare your trip together with OrangeSmile.com - find out the 'must see' things in Piacenza, which places to visit, which excursions to take, where the breathtaking views are waiting for you. Planning your trip with this travel guide will help your to get the most out of Piacenza in few days.